A perfect introduction to the relaxed lifestyle and contrasting historical and cultural identities in India’s most southerly states – Tamil Nadu and Kerala. 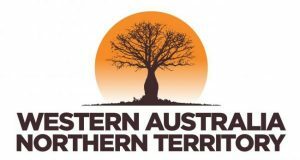 Exhibiting different languages, cuisine, temples, climate and landscapes – though the people share the same friendly and hospitable nature. From the French colonial settlement of Pondicherry, to the UNESCO World Heritage monuments at Tanjore and houseboat cruising on Vembanad Lake, this 13-day sojourn of southern India takes us to the ‘must see’ locations of Kerala and Tamil Nadu. Enjoy an estate homestay in Kerala, visit the Meenakshi Temple in Madurai, immerse yourself in history in historic Cochin and explore the mansions of Chettinad. 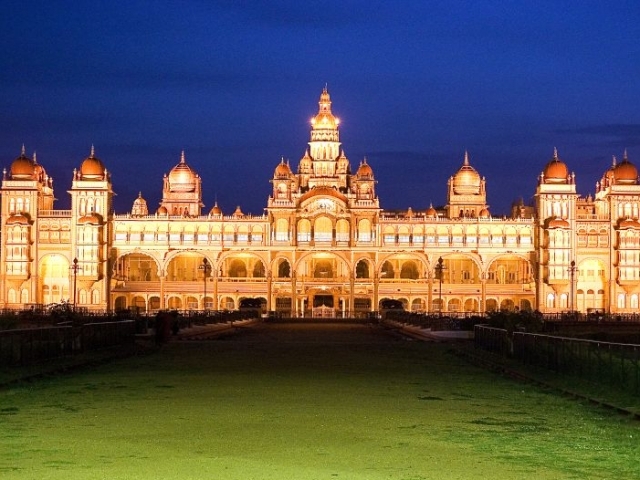 This 13 day trip will reveal to you Classic South India. Arrive in Chennai and transfer to your accommodation. Remainder of the day at your leisure. Chennai is the fourth-largest of the Indian cities. A former trading post for the East India Company, it is a fascinating city with ancient temples and unique culture, golden sandy beaches merging with the breakers of the Bay of Bengal and a marvellous tradition of music and dance. Spend this morning on a fascinating guided tour of the city. Later, drive to the former French colonial settlement of Pondicherry. Begin this morning with a leisurely stroll around the tranquil, broad tree-lined boulevards and avenues of the French Quarter in Pondicherry where colonial heritage villas line the streets. Pink and white bougainvillea plants and French street signs are also part of the charm of these streets. Call into the Sri Aurobindo Ashram. Founded in 1926 by Sri Aurobindo, this serene spiritual community located in the heart of the town, attracts thousands of devotees and visitors from around the world. Continue onto Tanjore today – the former ancient capital of Cholas — one of the greatest dynasties of South India. 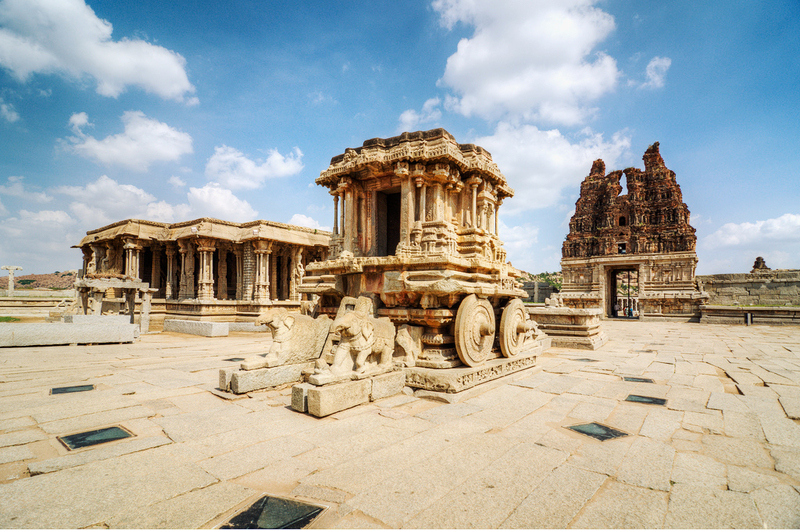 In the afternoon, take a tour of this fascinating city, dominated by the enormous tower of the Brihadishwara Temple. 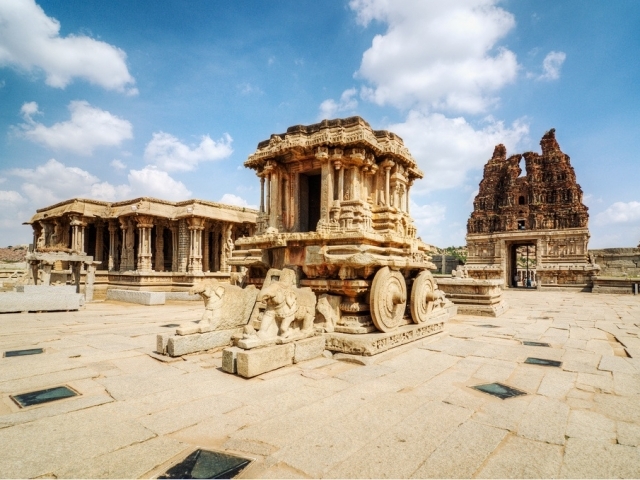 It is considered the pinnacle of Chola temple architecture and is today a UNESCO World Heritage monument. 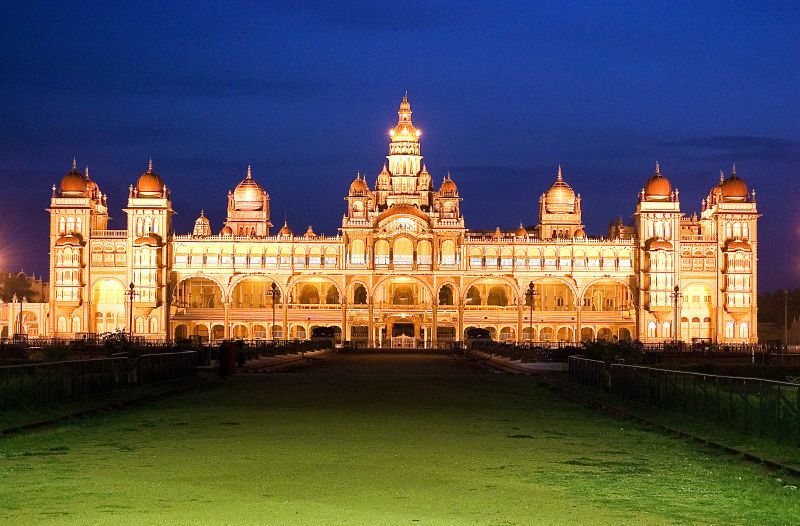 The drive this morning brings you to the Chettinad region – made famous for the stunning mansions built by the Chettiars, business tycoons of South India who made their fortunes in south-east Asia in the 19th century. Your accommodation is in one of these beautifully restored buildings. Over the next few days you have free time to explore the fascinating local towns with a driver and vehicle at your disposal. Full day to explore Chettinad. Your driver and vehicle is at your disposal. 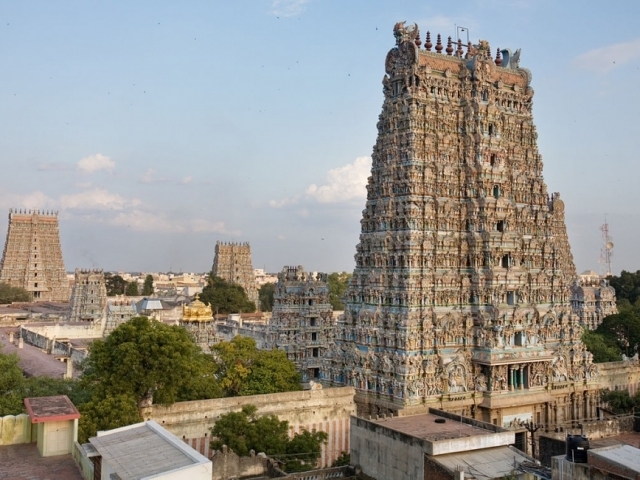 One of South India’s oldest cities, Madurai has been an important center of learning and pilgrimage for centuries, mainly due to its famous Meenakshi Temple with its labyrinthine structure, placing it as a must see in this part of India. Madurai offers a number of seemingly modest sights and experiences that nonetheless can be quite captivating for the curious visitor. Begin today with an early wander through narrow laneways filled with stalls of spices, vegetables and flowers which will enable you to experience something of the vibrant daily life of Madurai. 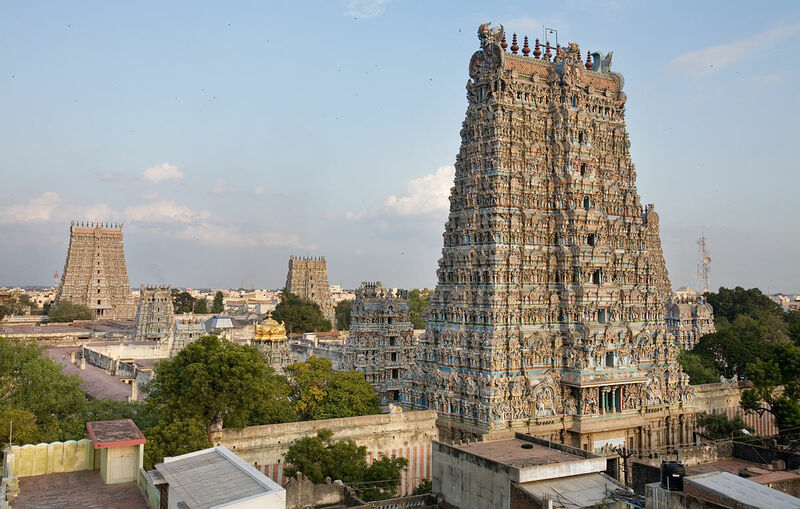 Visit the city’s famous Meenakshi Temple – the temple of the ‘fish-eyed goddess’ is one of the largest and most awe-inspiring temples in all of India – containing a multitude of shrines, halls and colonnades, all teeming with colour, noise and people. Later drive to Thekkady. Leaving Thekkady, continue onto to Kanam Estate/ Kalaketty Estate where you will have two days to explore the area. 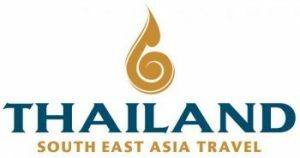 Activities can be arranged through the hotel and include cycling tours of local villages, escorted walks in nearby rubber and spice plantations, bullock cart rides and local village tours. Or simply pamper yourself with an Ayurveda spa treatment. A full day to relax or partake in the local activities available at Kanam. Depart this morning for the drive to Alleppey jetty where you will board your home for the night – a comfortably furnished, air-conditioned houseboat. Located in the heart of the Kerala backwaters, Vembanad Lake is the largest lake in the state and one of India’s biggest. Observing life in this unique environment is best done from the deck where you can see backwater life close up as you drift slowly by. After a leisurely return to the jetty you disembark this morning and continue onto Cochin. With virtually no traffic, Fort Cochin is the perfect place to explore by foot. The quiet streets around the Chinese fishing nets are filled with small shops and pleasant cafes, while a short auto-rickshaw ride away is Jewtown, which is full of antique shops and restaurants. Cochin is a place where you can see a Jewish synagogue, Portuguese churches, Dutch architecture, mosques, temples and Chinese fishing nets all in one day. Take a tour of Cochin this morning, including visits to Mattancherry or Dutch Palace, the Jewish Synagogue, St Francis Church and the famous Chinese fishing nets. Later perhaps take one last stroll of the town before your transfer to the airport.